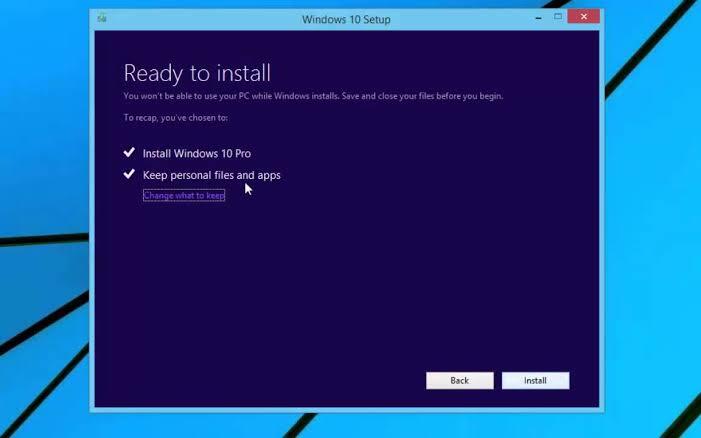 The Windows 10 Media Creation Tool is a Portable program that allows you to use new version of Windows 10 or it helps in repairing the existing one. Windows 10 Media Creation Tool guides you in each and every step of Microsoft windows 10 installation and media creation. If it is for the first time to install Windows 10 it asks you for the product key. If it is reinstallation from 10 to latest version, it doesn’t need any product key. The program includes two file formats that is built-in-media creation options for both USB and DVDs, which later on you can convert to ISO file format. Program allows two series versions i.e. a 32-bit version and a 64-bit version, download the file according to your Windows operating system and use it appropriately. With aim to help you get Windows media creation tool download easily, we've provided a link to get a 100% working files by techspot, click here to download now. After setting up the tool, it shows you two different directories on your WINDOWS screen (~BT and Windows, ~WS). The two folders contain the downloaded Windows 10 media creation tool setup and installation files, and an option to resume the creation process if it fails. After selecting one option you are asked to run the tool, then you will be able to see one dialogue box asking if you want to Upgrade this PC now or Create Installation media for another PC. By clicking on Create installation media for another PC, you will be able to see one dialogue box asking choose the media to use. In this step, you have full access to use both formats using USB Flash Drive which is at least 3 GB, or you can create an ISO file, where you can burn the file into a DVD later if in case needed. • Select to create an ISO file. It shows you the option to click Next, once you click on Next, the downloading of Windows 10 will start. The program starts within fraction of seconds and starts creating Windows 10 media. • After the ISO file is ready, you will be able see two options. One asks you to open the location where the ISO file has been saved and the other asks you to Open a DVD Burner software to burn the ISO to disc. 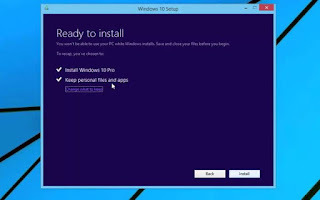 • After burning the ISO file, select to open the ISO folder and run the setup file inside it to perform an in-place upgrade of your Windows 8.1 to Windows 10, the upgrading process may take some times so just wait for the upgrade process till its done and that's all. Media creation tool an easy-to-use tool by Microsoft for installing Windows 10 in a very easy and simple way without issues.